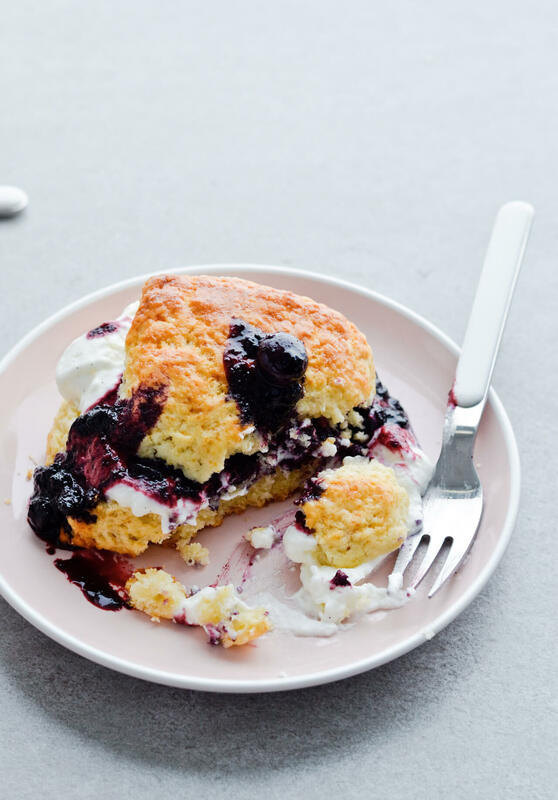 Make use of blueberries – make these easy vanilla blueberry shortcakes! 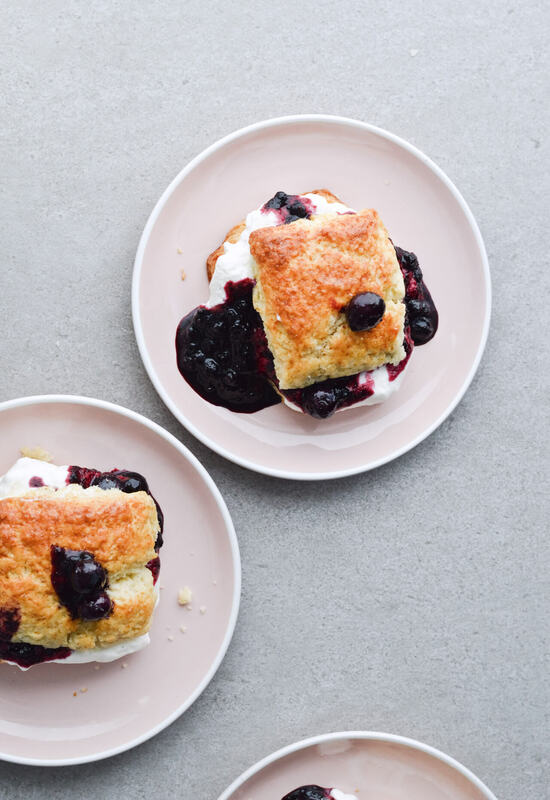 Why not skip the classic strawberry shortcake and make individual blueberry shortcakes instead? They’re just as good… or dare I say even better? The recipe is inspired by 1.03 episode of Gilmore girls. In this episode Jackson brings Sookie blueberries after she demanded strawberries for her strawberry shortcake. They even get into a fight that day, when she wants to buy strawberries from a different provider and Jackson catches her in the act. Sookie was sooo convinced blueberry shortcake wasn’t a thing. If they had Instagram or Twitter back then, or even Facebook, a quick poll would tell her there sure is blueberry shortcake! And it’s amazing. We don’t get a visual, so I don’t know if she made one shortcake or individual shortcakes. From the dialogue in the show, I assume it was one big shortcake, but I decided to go the individual route. I like it better that way. I know it’s September but with this recipe seasons become irrelevant. 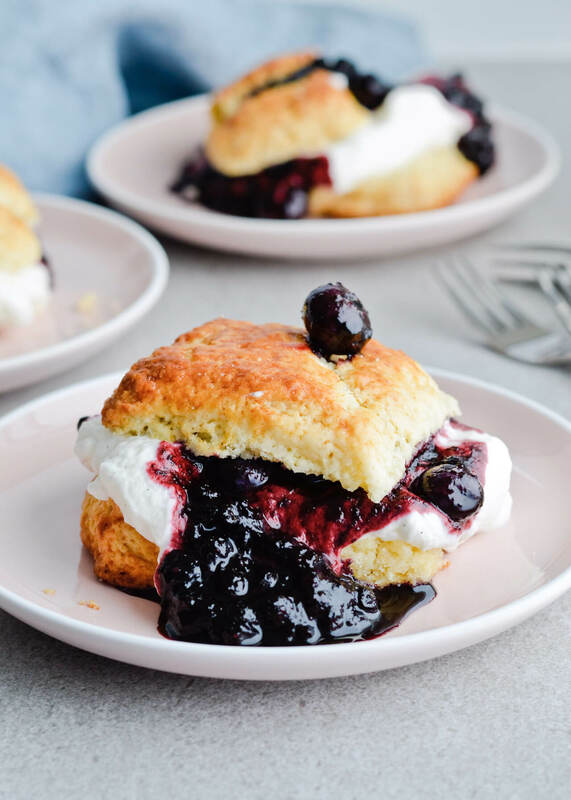 You can use fresh blueberries if you want, but frozen work just as beautifully because these shortcakes are made with a thick vanilla blueberry sauce. 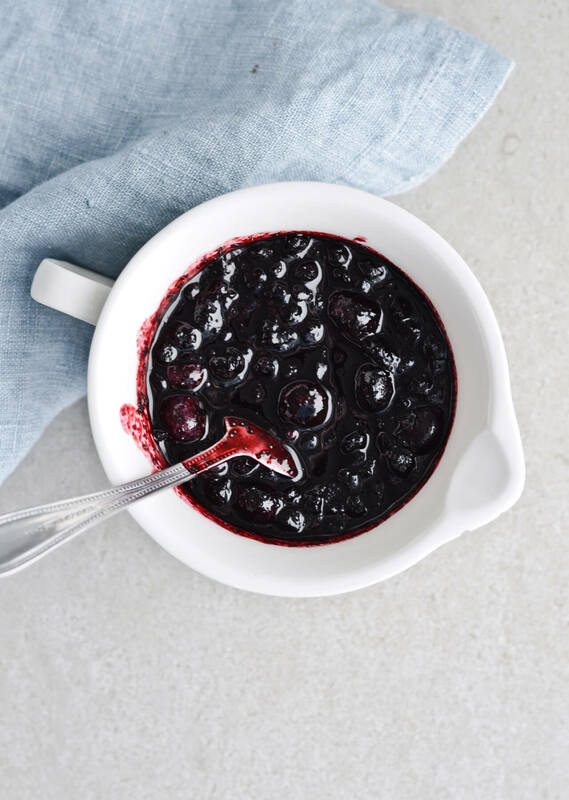 So you can use fresh or frozen blueberries or even a combination of the two. It’s hard to tell in the end. The color of this sauce is absolutely beautiful. A deep dark violet-red hue, a lot like the night sky and it smells like a blueberry bush sprinkled with a citrusy vanilla perfume. Just amazing. The vanilla is the defining factor and I use it in the biscuits and also the whipped cream. The biscuits are buttery, hard on the outside but soft on the inside. They crumble under the pressure of a fork and melt in your mouth. I make the dough by grating frozen butter into the flour, instead of cutting it up into chunks. Frozen butter just mixes with the flour a lot better and you need to process the mixture a lot less, which results in the biscuits being super flaky. And the whipped cream is more than just whipped cream. I usually reach for vanilla bean paste when making whipped cream, but this time I used vanilla seeds instead, straight from the pod. The taste is superior. Although you do get the same visual effect with both the paste and the seeds – a white canvas full of small black specks, each reminding you of the flavor you’re about to inhale. I say that on purpose as the smell is as sweet as the taste. 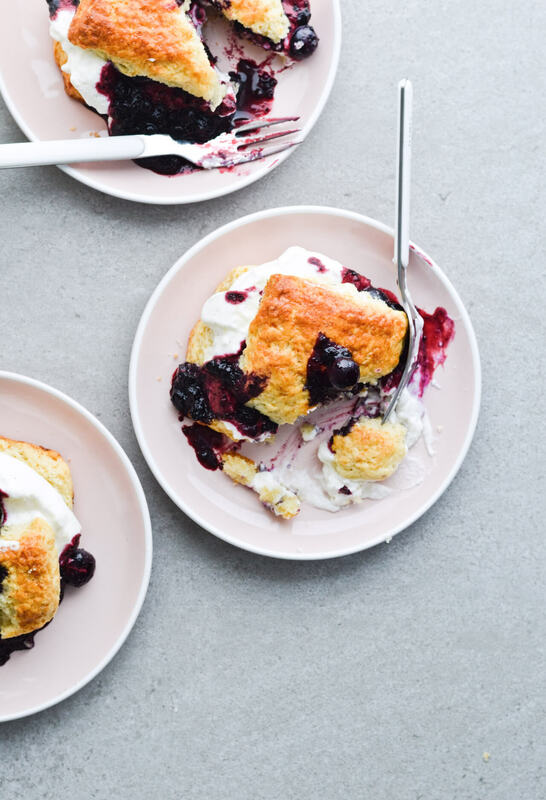 The great thing about these easy vanilla blueberry shortcakes is that you can make them ahead, at least for the most part. And if you think the servings are too small, trust me, they’re not. I’ve made this recipe before and only cut the dough into 6 biscuits and they ended up being far too big. So now I like to keep things small and cute, still filling, just not these-might-kill-you filling. 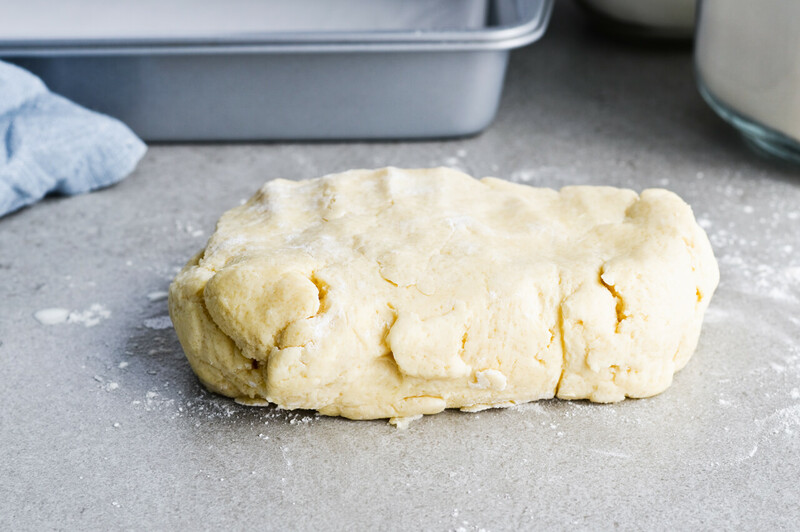 Start by making the biscuits: Place rack in the center of the oven and preheat to 220°C (425°F). Line a baking sheet with parchment paper. Combine flour, sugar, baking powder and salt in a food processor. 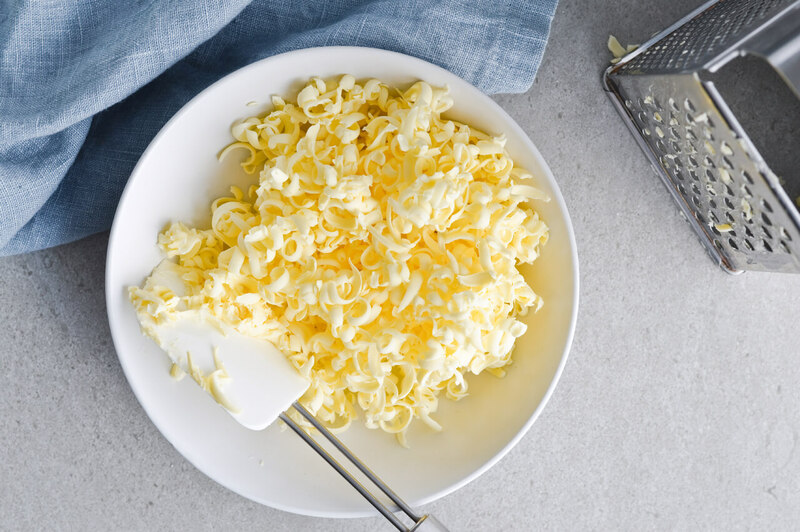 Take butter out of the freezer and coarsely grate it on a plate, using a box grater. Transfer to the food processor and pulse for 1-2 seconds, just until the butter is mixed with the flour and the mixture looks crumbly. Add the cream and pulse for a few seconds, until the dough clumps together and almost forms a large ball. Transfer to a lightly floured surface and gather in a ball. Flatten it into a 8×4-inch (20×10-cm) rectangle. Cut into two lengthwise, then slice each part into 4 squares. Transfer to the baking sheet and chill for 20-30 minutes. 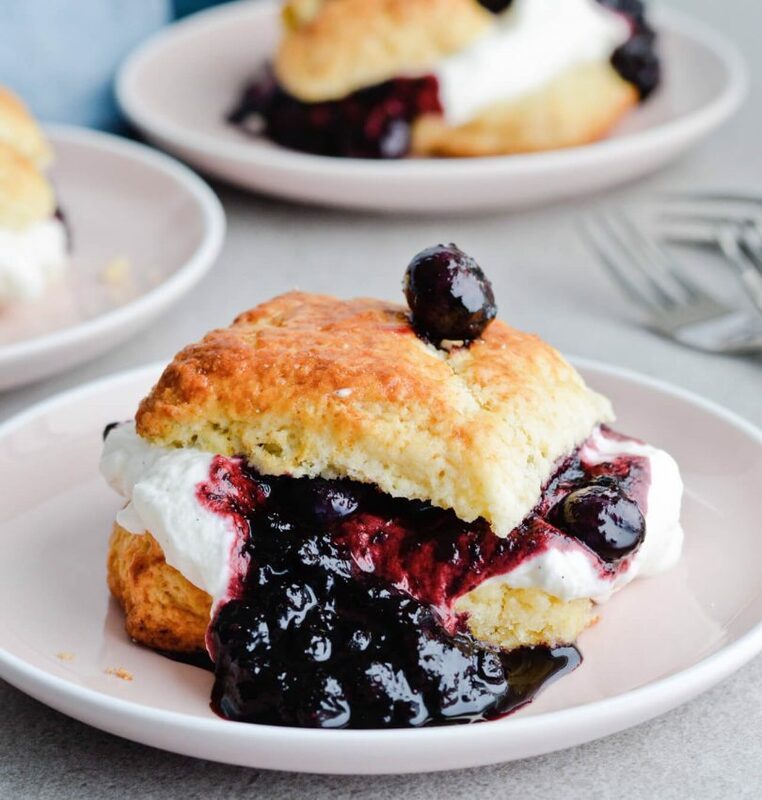 Brush tops of biscuits with egg glaze and bake for 15 minutes or until the tops are golden brown and a cake tester inserted in the middle of each biscuit comes out clean. Remove from oven, transfer to a cake rack and cool. Combine all ingredients in a non-reactive saucepan (I use enamel) and bring to a light boil over medium-high heat. 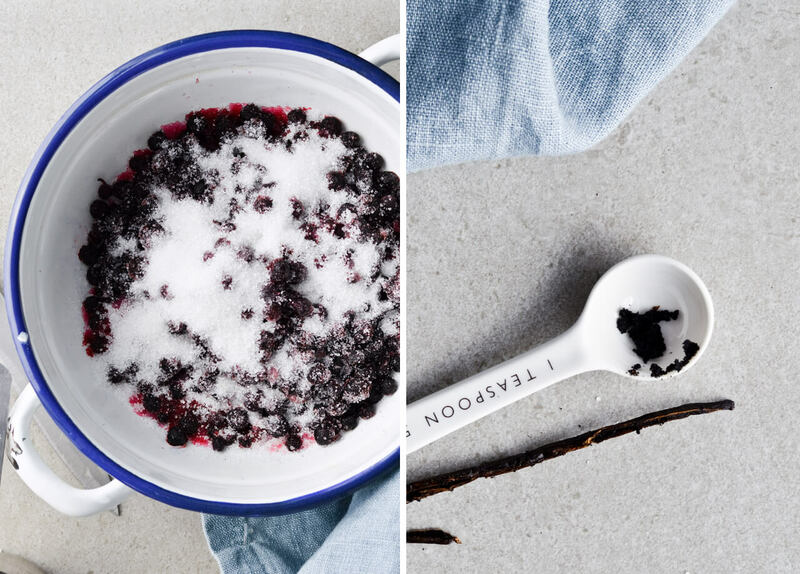 Cook for 5-10 minutes, just until blueberries are tender and the sugar has completely dissolved. Remove from heat and let cool. Remove the vanilla pod. Combine cream, sugar and vanilla seeds in the bowl of your mixer. Whisk on low speed until soft-medium peeks form. Assembly: Cut each biscuit in half horizontally. 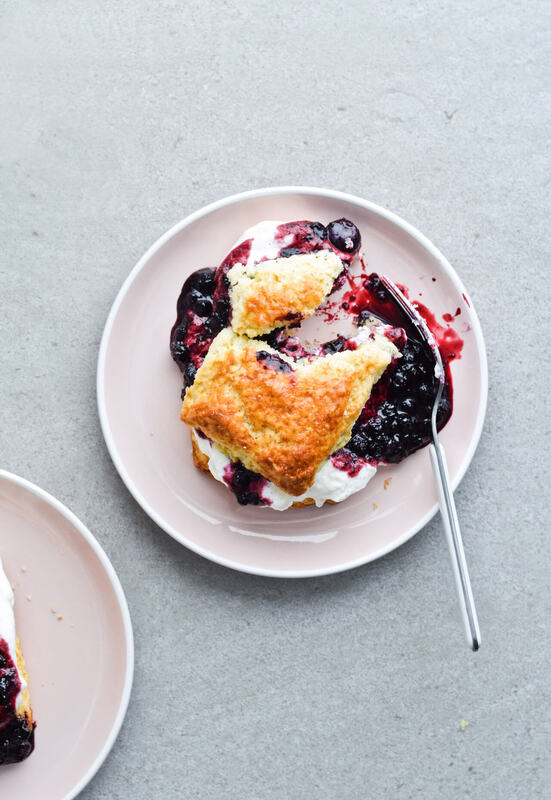 Add a heaping tablespoon of whipped cream on the bottom half (cut side up), top with 2-3 tablespoons of blueberry sauce and cover with the other half. Serve immediately. 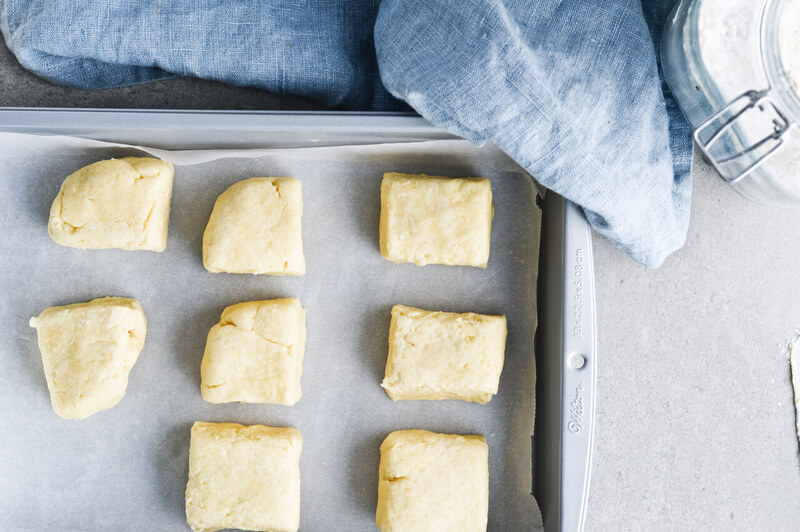 The biscuits – Once you cut the dough into 8 biscuits, cover the baking sheet with plastic wrap and chill biscuits in the fridge for a day. Then put them in the preheated oven straight from the fridge. Once baked, the biscuits can wait another 8 hours until serving time. The sauce – Make the sauce as the recipe says, let cool to room temperature, then store covered, in the fridge for a day. 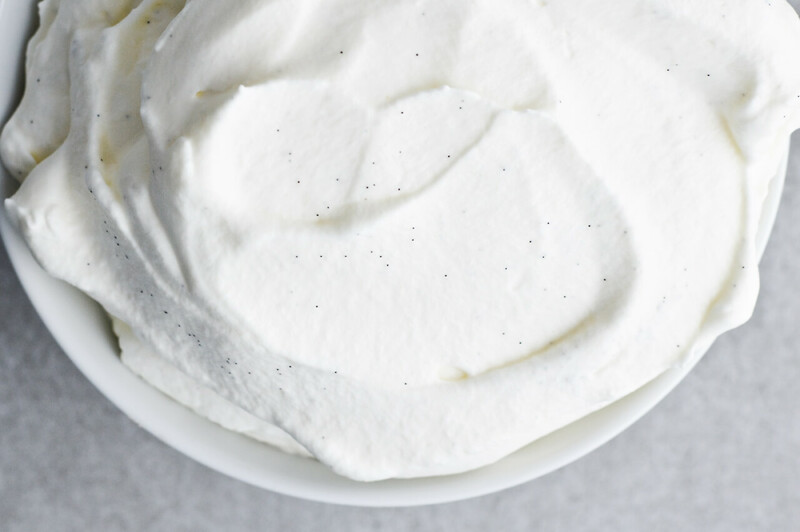 Whipped cream – fresh whipped cream is the best, but it’ll easily last int he fridge for a few hours. Once whipped, transfer it to an airtight container and cover the cream tightly with plastic wrap. (You’re basically sticking the two together.) It’ll survive for a few hours, but stir it with a spoon before using. Recipe for biscuits slightly adapted from Epicurious.